The gWind Wireless 2 transducer offers an easy-to-install solution that eliminates running wires through masts up to 50 feet. Accurate wind signals are sent via an ANT® connection directly to a GNX™ Wind instrument or compatible Garmin GPSMAP® 8400/8600 series or GPSMAP 7400/7600 series chartplotters. 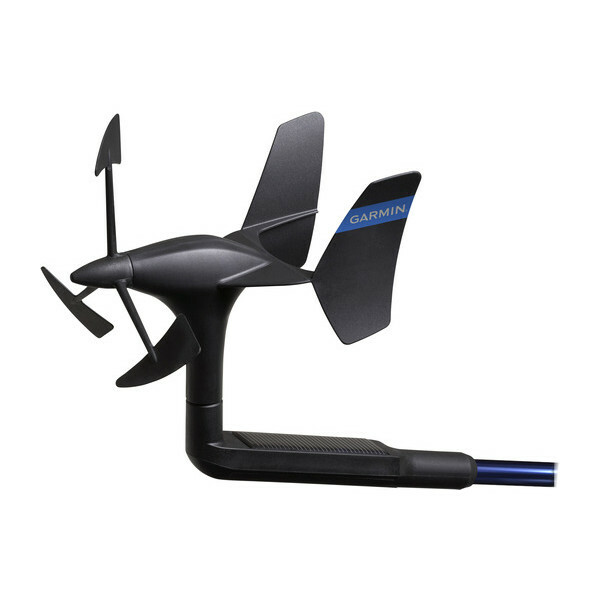 The transducer features renowned Nexus® twin-fin technology with a 3-bladed propeller, providing more accurate wind speed and more stable wind angle in lighter wind conditions. Also available in wind and sail packs (sold separately) that can be used as stand-alone wind systems or expanded to full network systems via NMEA 2000®.